0.12cts half diamond eternity ring, channel set with round brilliant cut diamonds set along the edge of a 3.1mm wide ring design. A precision offset channel half Eternity Ring. This elegant ring is set along one edge with a total of 0.12 carats of Round Brilliant cut Diamonds. The skilfully positioned Diamonds have been graded F Colour and VS1 Clarity prior to setting. 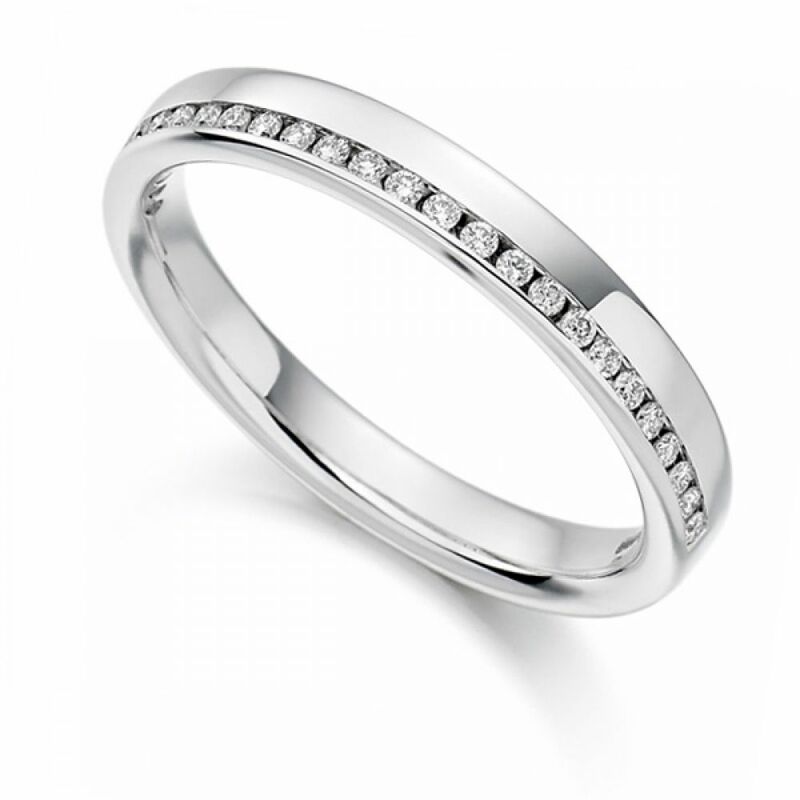 This ring design benefits from a comfortable court profile and is 3.10mm in width. Available in a choice of finishes to suit your own style, 18ct Yellow, White or Rose Gold,950 Platinum and 950 Palladium. Once completed this ring will arrive beautifully packaged ready for the perfect moment. Please allow 4 weeks for delivery as this design is crafted to order. Ring arrived prior to expected delivery period. Standard of ring very good!